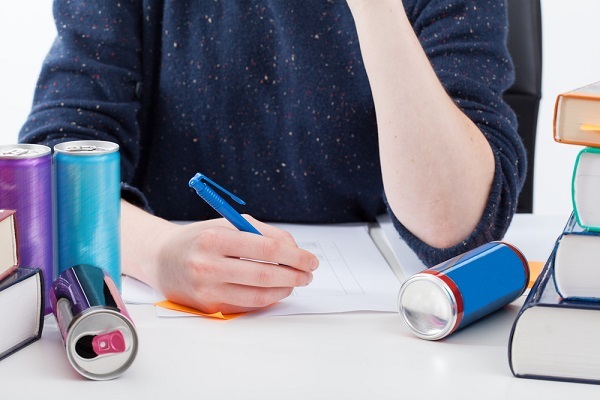 Energy Drinks: A Substitute Addiction? Energy drinks pop up in the news on a somewhat regular basis, usually due to new research on health concerns. But one of the more recent stories regarding energy drinks centers on Anheuser-Busch and their acquisition of Hiball Energy. As the prominent beer company seeks expansion, a venture into the world of non-alcoholic beverages makes sense. It allows them to broaden their market and appeal to a wider range of consumers. Ironically, it may also allow them to regain some of the customers they have lost. We’re talking about addicts and alcoholics, whose younger population sometimes consumes energy drinks in astounding quantities. Young people in general already flock to energy drinks with gusto. Give your average teenager a weekend alone with a video game console, and their shopping list for carbonated beverages may very well exceed the weekly grocery lists in most households. But pit this same thirsty gamer against a young person recovering from alcoholism, and the alcoholic will—for lack of a better term—drink them under the table. Especially if the alcoholic in question is an IOP client who was previously banned from bringing energy drinks into day/night treatment. Perhaps this is a slight exaggeration, but just go to a local AA or NA meeting with a heavy attendance of young people and you can see it for yourself. See if you can even find three such meetings a week in which you don’t see at least two or three cans on the tables. You’ll occasionally see someone down two of the larger cans in one sitting. Between that and the abundance of coffee—a long-time staple of recovery meetings—you may find yourself wondering what it is about recovery that makes people so darn tired. This all raises an interesting question. As we strive to let go of compulsive behaviors, are we in fact simply replacing one addiction for another? It’s a matter that warrants exploration, beginning with our reasons for banning energy drinks from day/night treatment in the first place. While perhaps reassuring to know that hallucinations rank as “fairly unusual,” heart palpitations and nausea don’t sell energy drinks as part of a healthy diet. And perhaps these symptoms require high consumption, but therein lies the problem. To consume energy drinks without adverse health effects, one must practice a degree of restraint. 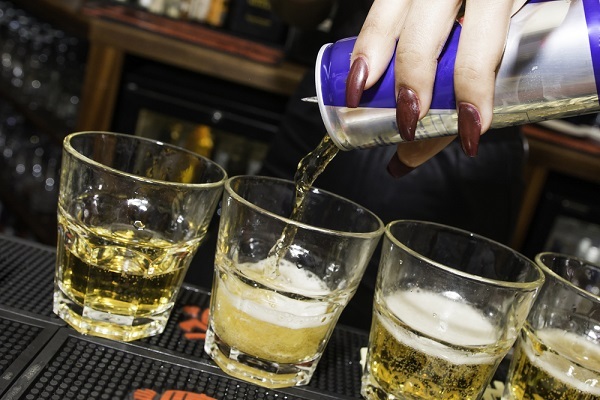 Allowing energy drinks in treatment would essentially be asking clients in early recovery to practice consuming a potentially mind-altering substance in moderation. It sends a mixed message at best. The effects of caffeine don’t necessarily cease when you quit consuming it, either. The DSM-5 identifies caffeine withdrawal syndrome as the experience of depression and fatigue when skipping your daily dose of liquid energy. This can also cause difficulties concentrating. If this happens with coffee, consider the higher caffeine content of energy drinks. And the caffeine content is higher than you might think, due to the natural caffeine offered by ingredients such as guarana berries. Despite this, it may still feel to some as if energy drinks get the short end of the stick. After all, we do still allow coffee and cigarettes. But not everybody smokes, and most people limit their coffee intake due to its bitterness and the need to consume hot beverages slowly. Sipping slowly allows the caffeine time to take effect. Meanwhile, many people guzzle multiple energy drinks before the first one even hits their system. Moreover, the disbelief of many that energy drinks can prove harmful leads to a bit of defiance when told not to consume them. In addiction recovery, we refer to this as the need to “get what we want when we want it.” We must fight this type of impulse if we wish to stay sober. And many certainly suffer from this type of thinking when it comes to energy drinks. We see this often when clients leave day/night treatment and begin outpatient. With no more restriction on the beverages, energy drinks sometimes become the center of numerous reckless behaviors. Whether or not they understand our reasons for restricting energy drinks in day/night treatment, there are certainly clients who overconsume them once they arrive in our aftercare program. To the clients in question, it seems like a relatively harmless indulgence. And in all fairness, they certainly intend it as nothing more. Unfortunately, it sometimes leads to various complications in both their recovery and their personal lives. As people begin consuming more and more energy drinks, their sleep schedule often suffers as a result. This makes it much more difficult to establish a healthy routine. When clients first get into outpatient housing, their primary focus tends to be seeking employment. But the early bird gets the work, so to speak. Those who arise early and speak to managers before they get busy may fare better than those who wait until the afternoon when many businesses tend to get slammed. Not to mention the fact that those who wake up earlier can spend more of the day sending out applications. More than anything, however, maintaining a normal sleep schedule prepares clients for a working lifestyle. We understand wanting to enjoy your time off while looking for a job. Late nights, however, won’t do much to help motivation. We also see many people begin breaking the rules just to consume more energy drinks. For instance, while outpatient clients may consume energy drinks if they wish, we still do not allow them to bring these beverages into our main center when they attend aftercare groups. Nonetheless, many attempt to sneak them in. Other clients sometimes pressure the drivers to stop at the corner store so they can stock up, resulting in late arrival to appointments. These are clearly not the worst infractions ever, but disrespect for structure sometimes speaks to larger problems in recovery. It may sound like something of an oxymoron to talk about consuming energy drinks in a healthy manner. Nonetheless, one can at least take steps to reduce issues like those described above. Concerning health issues, simply pay attention to the ingredients of the drinks that you buy. Many brands do not list their caffeine content on the can, but you can usually find this information online. Ideally, try to find something with 100 milligrams or less. Also try to find drinks without guarana, which raises the caffeine content beyond that which is measured. And bear in mind that some brands, such as Hiball, offer way more health-conscious drinks than others. But no matter which drinks you buy, attempt to consume them in moderation. More than two or three a day becomes excessive. More than five becomes a potential health concern. Time factors into healthy decision-making as well. Many sleep experts suggest abstaining from caffeine after 2PM. To most human beings, this sounds outlandish. Don’t worry about following it too strictly. But when you can, you might at least want to abstain from consuming any caffeine within a bare minimum of three to four hours before going to sleep. The longer you give yourself to get it out of your system, the better. Your options do not end there. For instance, cherries contain natural melatonin, so a glass or two of cherry juice throughout the day might actually benefit your sleep schedule quite a bit. Just try to stick with tart cherries, since the sugar in sweet cherries might interfere with the effects. Tea also helps you get to sleep by calming your mind, and comes in many varieties that may offer other health benefits as well. Improving your sleep and watching your physical health will go a long way toward ensuring physical and mental well-being. More importantly than anything, however, always monitor your motivations. In and of themselves, energy drinks pose no threat to your recovery. But when you place them before health or the rules of a treatment facility, this becomes a problem. As long as you can say with complete certainty that this is not the case, you’re likely fine. If not, then take a look at your behaviors. Energy drinks do not have to act as a substitute addiction. As with all things, the key to healthy behavior is to strive for moderation. Overuse is a monster, and its venom will hit you with a bang when you find your healthy routine starting to red-line. But maintain a sense of balance, and you can continue to amp yourself up, spread your wings and recover like a rock star.